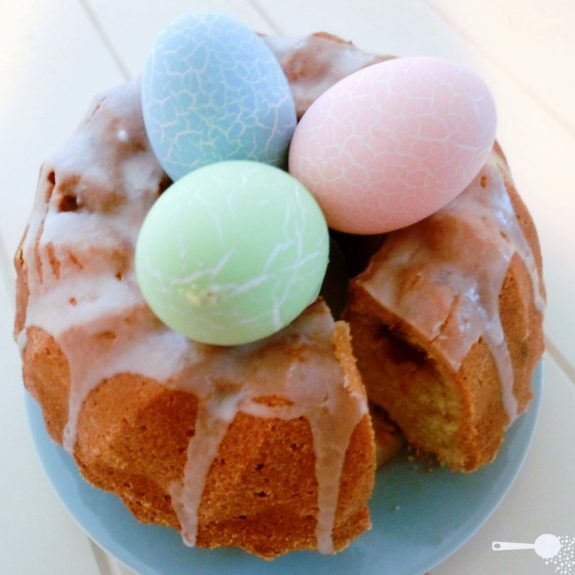 Since it’s Easter and eggs are its leading theme, it’s only fitting to make a traditional Easter kugelhopf, bundt cake or babka as we call it in Polish. My first attempt at babka was a bit of a mess – the cake overflowed and baked onto the bottom of the oven.What remained in the tin was still tasty, but a little too dry for my liking. I wanted a moist, slightly dense kugelhopf. So I went searching on my favourite (Polish) and drool-worthy baking blog, Moje wypieki. I had a feeling Dorotus would have the babka recipes down pat. And I was right. This particular recipe yields a delectably moist cake that will disappear in seconds, if you let it. The boys announced straight after the first bite that they were going for seconds. And I kept drooling over the lovely smell every time I walked past the table. To make it more festive and on theme, this one is ‘spiked’ with egg liqueur and dotted with fudge pieces, after all Lent is over and it’s time to celebrate. The batter also works just as well as a cake, slice or muffins – perfect for workplace sharing! Egg liqueur is a mixture of egg yolks, brandy and vanilla also known as Advocat or Eier-cognac. It is especially common in Holland and Germany but many Australian bottle shops stock it as well. To make the cake, ream softened butter and sugar until light and fluffy using a mixer, this make take a few minutes. Add eggs one at a time and continue mixing until well blended. Pour in the liqueur in a think stream, mixing continuously. Add flour and baking powder, mix on low speed until just combined. Add fudge and fold it in. Grease a kugelhopf (or cake or muffin tray) tin with butter and dust with crumbs or polenta – this will prevent fudge pieces that sank to the bottom from burning. Scoop in the batter and smooth out the top flat. Bake in a preheated oven for about 60 minutes. If you are making muffins, check with a wooden skewer after about 35 minutes. Cool in the tin for a few minutes then turn out onto a wire rack to cool completely. To make the icing, combine rum and sugar and pour over the top of the cake, let the icing drip down the sides. Enjoy with a cup of tea or coffee throughout Easter and beyond. You take such beautiful photos!!! Gorgeous post and the babka sounds amazing, I love that your boys wanted seconds straight away – a sure sign that a recipe is a winner!!! Thank you! Yes, it’s going straight into the favourites section next to the Ferrero rocher cake! Well, this looks delicious as well! 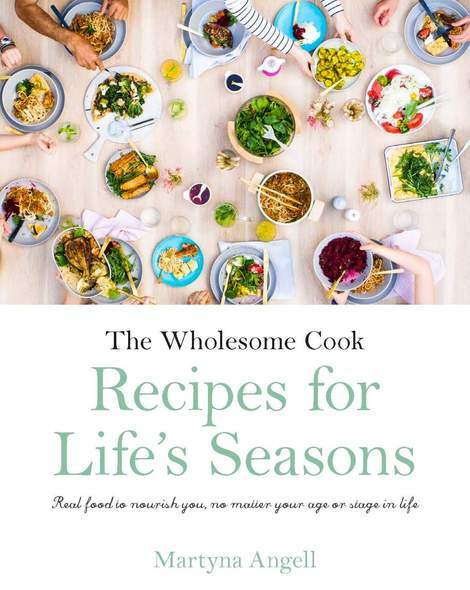 I’ve got Polish heritage and lately I’ve been interested in getting to know the culture more… especially through food. If I can get my hands on liqueur I’ll give this a try for sure! Oh lady now this is suuuuper impressive. I am in awe. I love the sound of the liqueur…dreamy 🙂 Now I want cake for lunch. Your kugelhopf looks great! So you’re Polish?